I haven't shared much of my Goodleg projects on here. Let's change this for today. Just in time for TMNT's 30th Anniversary and the upcoming movie, Goodleg Toys teamed up with the good guys from Streets of Beige & artist RICHT from the UK to bring you this! 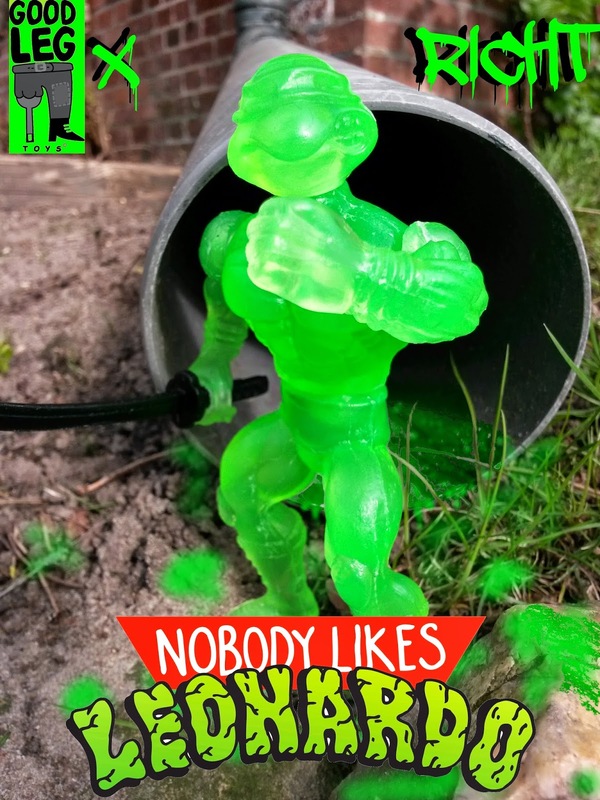 Straight from the underground's gnarliest sewer, baptized in Ooze, the limited "NOBODY LIKES LEONARDO" resin art toy! The most toxic TURTLES bootleg the world has ever seen! 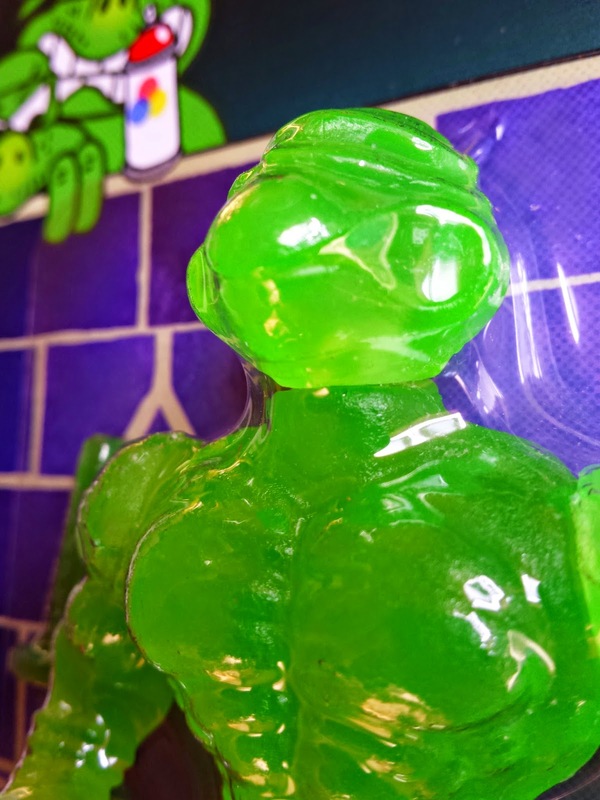 Kit-bashed from a Mexican 5.5" Lucha bootleg and a Polish TMNT bootleg, the figure will come hand casted in translucent neon-green resin, featuring 4 points of articulation, a sword, and a packaging designed by RICHT. 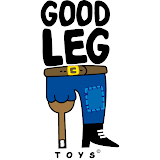 For all upcoming info keep following Goodleg Toys, RICHT, and Streets of Beige!